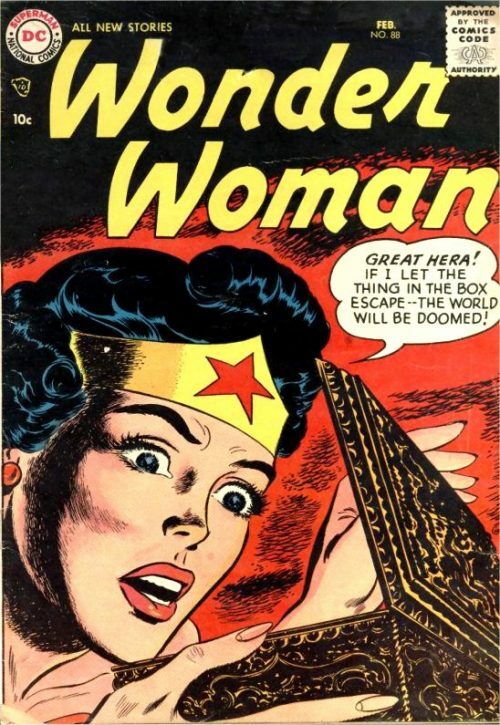 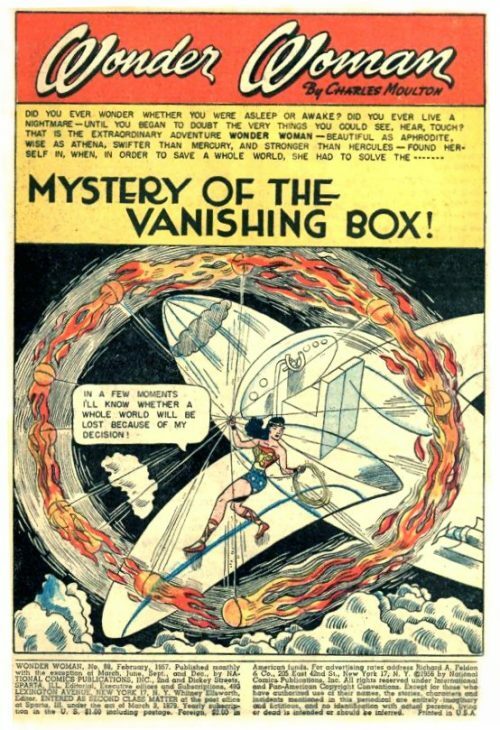 Everywhere she goes Wonder Woman finds a box with a warning not to open it. Emergencies continue to prevent her from opening the box which disappears before she can return to it. 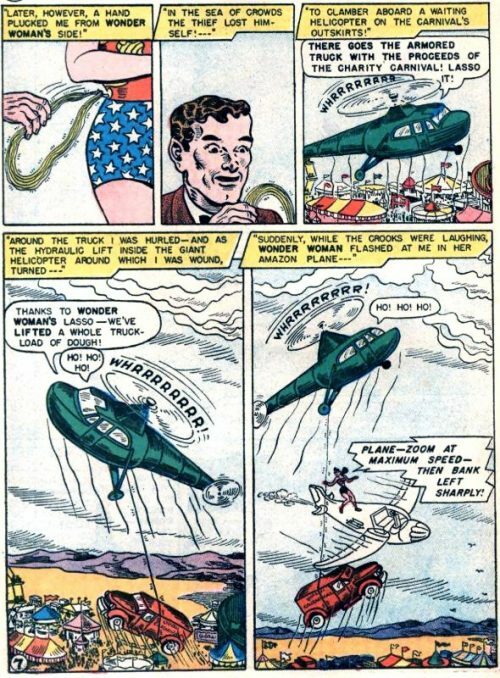 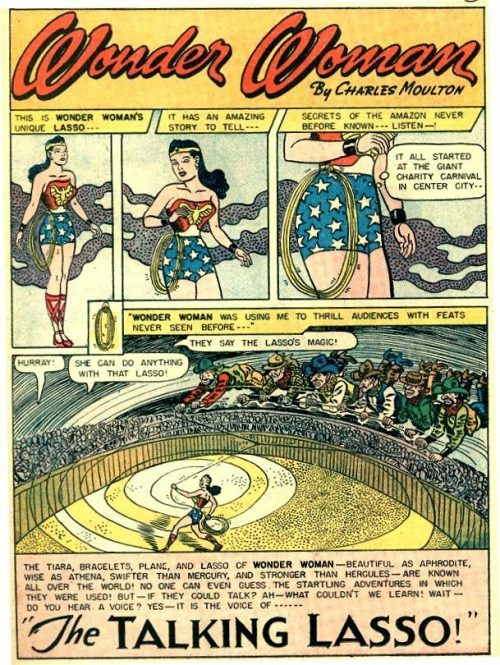 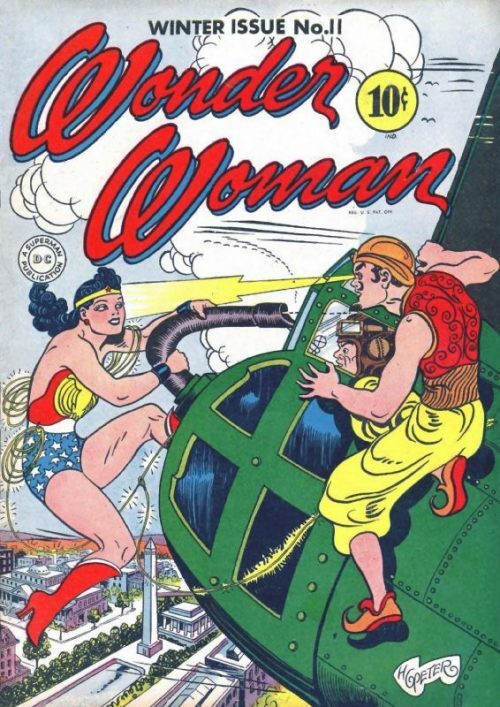 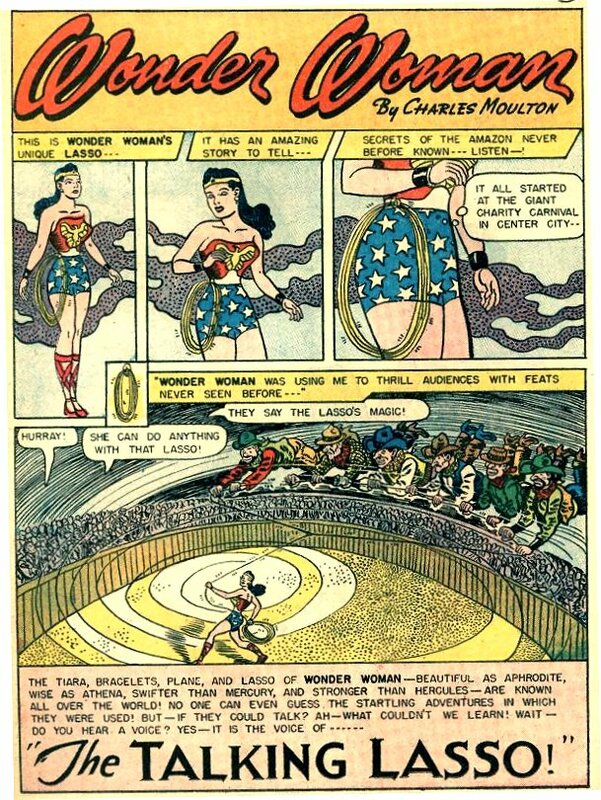 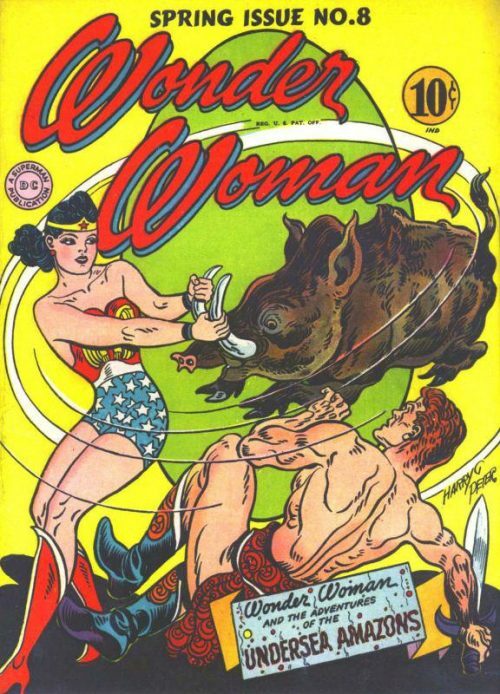 Wonder Woman’s Lasso tells a series of stories about adventures where it played an important role in the story. 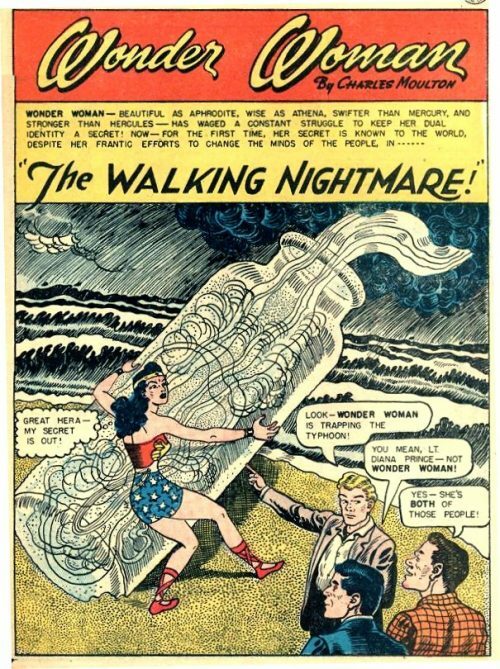 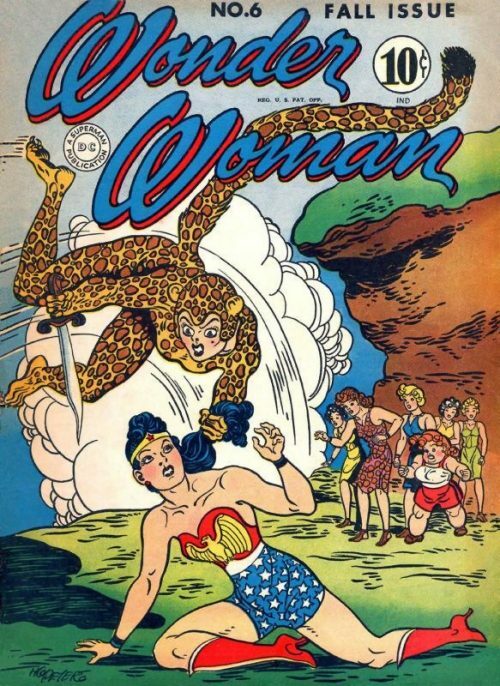 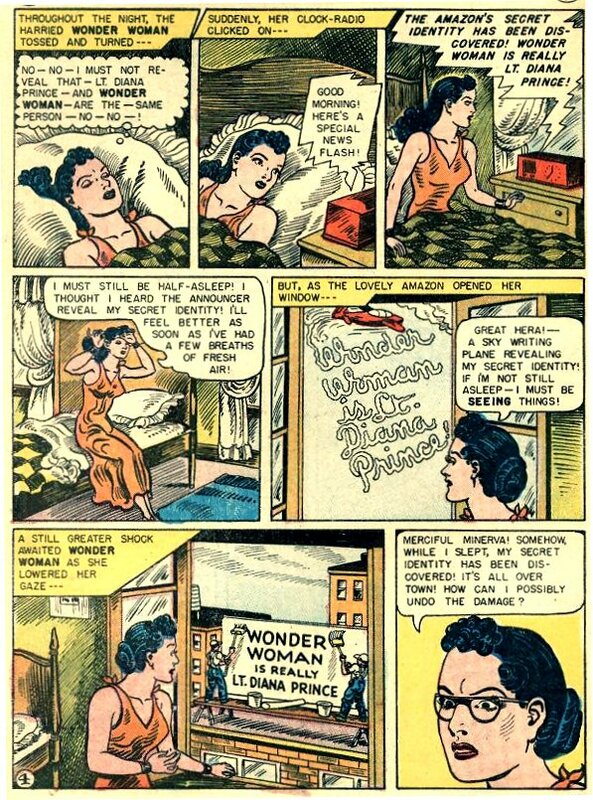 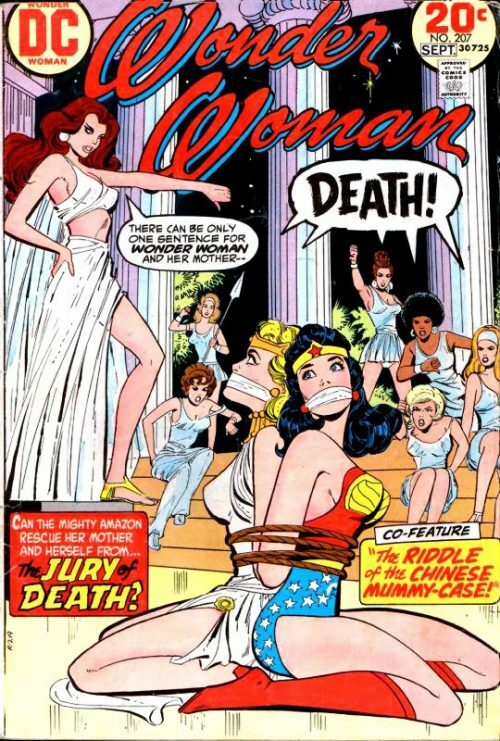 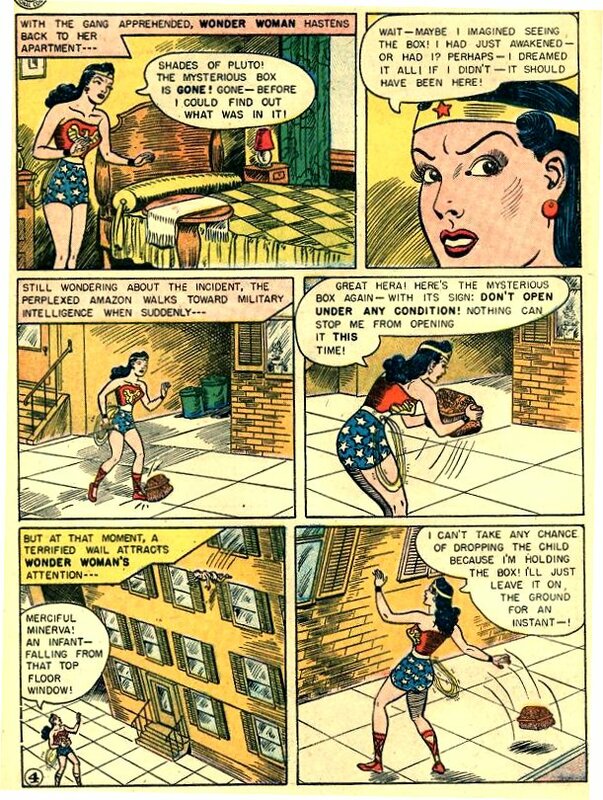 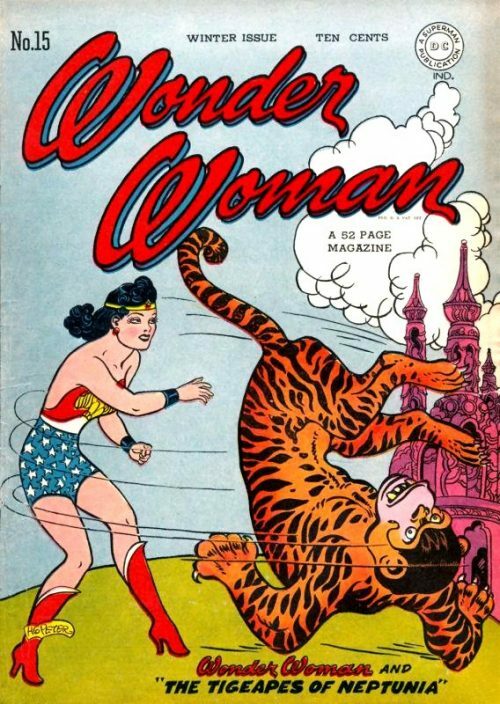 A billionaire offers one million dollars to anyone who discovers Wonder Woman’s secret identity which leads Wonder Woman to suffer extreme anxiety.